The Triumph Hurdle betting has been thrown up in the air by a late injury scare that threatens to rule out long-time favourite Sir Erec. The JP McManus-owned star wasa Group-class horse on the Flat before every jumping a hurdle, and has gone unbeaten in two outings since making the switch, most recently cantering to victory in Ireland's premier pre-Cheltenham juvenile Grade 1. However, Sir Erec was found on Thursday to have suffered a stone bruise in his hoof. Trainer Joseph O'Brien is confident he will recover in time, but that hasn't stopped punters rushing in for second string Fakir D'Oudairies, who's plan 'A' is to run in Tuesday's Supreme Novices' Hurdle. Just to keep everyone in the loop, Sir Erec was found to have a stone bruise this morning. With eight days until the Triumph Hurdle, we are confident that will be more than enough time for him to fully recover and get to the race in top form. All-conquering Quel Destin, described by trainer Paul Nicholls as he 'best chance' of Festival victory, has also shortened in the Cheltenham betting, which will continue to shift until definite word is received from camp Sir Erec. The Triumph Hurdle is a 2m1f Grade 1 hurdle race open to horses aged four years old. It's the championship event for what are known as juvenile hurdlers, many of them lining up after careers racing on the Flat. Worth £70,337 to the winning connections, it is the first race on the Cheltenham Gold Friday at the 2019 Cheltenham Festival. The class Sir Erec (11/8 Black Type) has shown on the Flat, he gave a glimmer of over hurdles at Leopardstown last time out. It is very hard to see past him, so we're inclined to be cautious with the Triumph Hurdle betting until his participation is decided. In the meantime, taking a look at the Triumph Hurdle trends, obviously points towards him and five-time winner Quel Destin (8/1 William Hill), who boasts a Cheltenham Grade 2 victory. They also tip up Fakir D'Oudairies (5/1 William Hill NRNB), who won Britain's best Triumph Hurdle Trial, at Cheltenham in January. Should he line up in place of Sir Erec, he looks to have the beating of Quel Destin, and could be a good bet now, with the Non Runner No Bet concession. The next horse on the trends tips short list is Pic D'Orhy (10/1 Unibet NRNB), placed in Grade 1 company in his native France in November, but unraced since being gelded shortly after that. The ground would need to be soft for him to run, and it would need to be no worse than good to soft for the final trends tip to run; Hannon. This son of Canford Cliffs ranks a cracking each-way bet at 40/1 with Coral, having gone down by just a nose in Grade 2 company last time out. He's previously won at Musselburgh, and handled the undulations of Down Royal to be second there. "Quel Destin improved since his last run and is a tough horse. Jockey Sean Bowen was very impressed with him at Haydock last time. I know Sir Erec is a very short-priced favourite, but he will have to be really good to beat our horse. He is one of our leading chances for Cheltenham. "Pic D'Orhy is one bought with the future in mind and is a really nice horse. We took him for a racecourse gallop and we were thrilled with what we saw. We could run him in the Triumph if it is on the soft side. He has a lot of ability and we are very excited by him." "He ran Sir Erec close on his hurdling debut over Christmas before disappointing behind the same horse in a Grade 1 back at Leopardstown. I might have been too easy on him between those races but he's a smart sort and will take his chance in the Triumph." 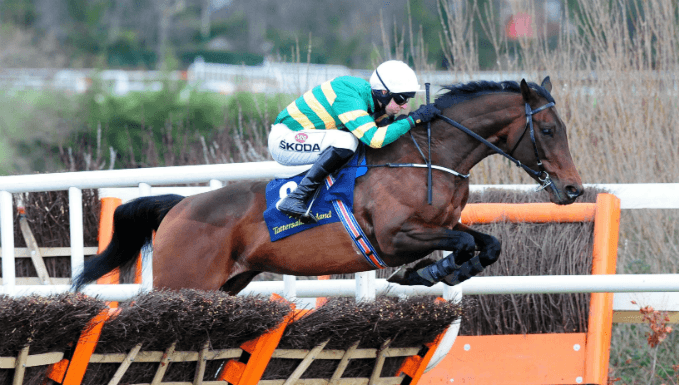 Sir Erec is one of the most solid favourites in this year's Cheltenham betting, but his run in the Triumph Hurdle has been put in doubt. His win in the Grade 1 Spring Juvenile Hurdle at Leopardstown marked him out as Ireland's finest juvenile hurdler of the year, and his Flat performances in Listed and Group company suggest that is only the beginning. He could end up being one of the more impressive winners of the meeting if coming through this late scare unscathed. Trainer Joseph O'Brien has two able deputies should Sir Erec be forced to miss the race, Cheltenham winner Fakir D'Oudairies and the Leopardstown second Gardens Of Babylon. They are highly-respected as live challengers to Britain's number one hope Quel Destin. The Triumph Hurdle is where we find out which nation has the strongest juveniles and it will be a serious shame if Quel Destin does not get to take on Sir Erec. The 146-rated hurdler has won his last five hurdles, winning in Grade 2 and Grade 1 company, on galloping, undulating, and sharp tracks, and going both left and right-handed. He seems best on better ground, but tough enough to get through soft ground, and overall is the most solid horse in the Triumph Hurdle betting. He just doesn't appear to have the future that Sir Erec does.